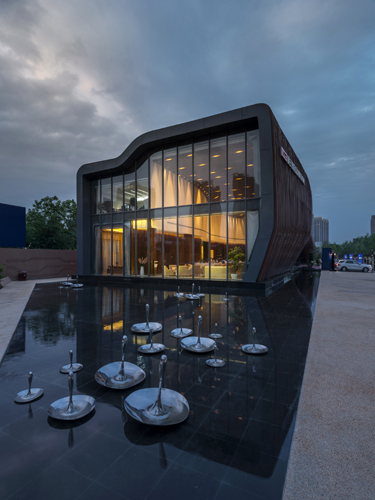 Situated at the intersection of the main city axis and Yanzhan Road, The LAND Experience Center (LEC) is intended as an exhibition center with a fully immersive space to introduce public to LAND, one of the major property development companies in Xian, As LAND is developing some of the largest commercial properties within the city, LEC is also designed as the marketing and branding center for the company. LEC consists of exhibition hall, multi-purpose room, administration offices and a separate display wing. 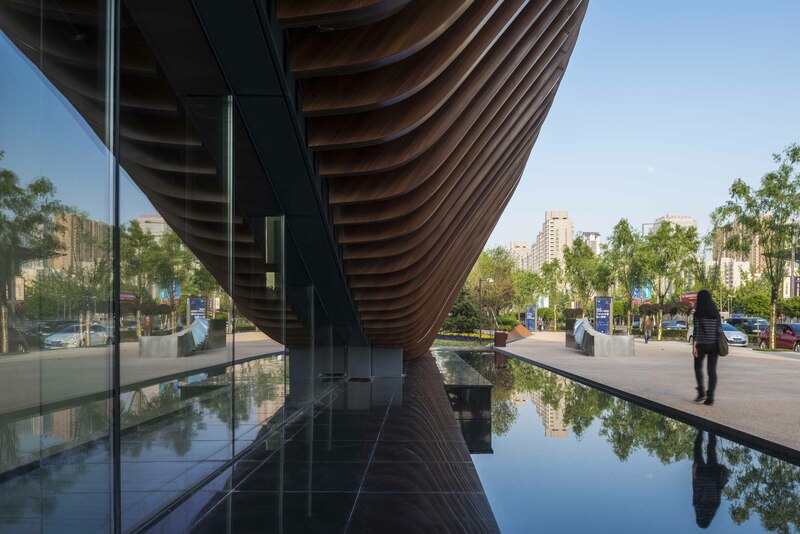 Its sculptural form deprives from the local undulating topography, reflecting the duality and dynamics of Xian, a city rich in history yet ambitiously moving towards to the future. Orchestrated through a series of events, LEC serves as an interactive hub to showcase LAND’s development strategies and vision for the city center, while providing sensory experience of the feature programs. 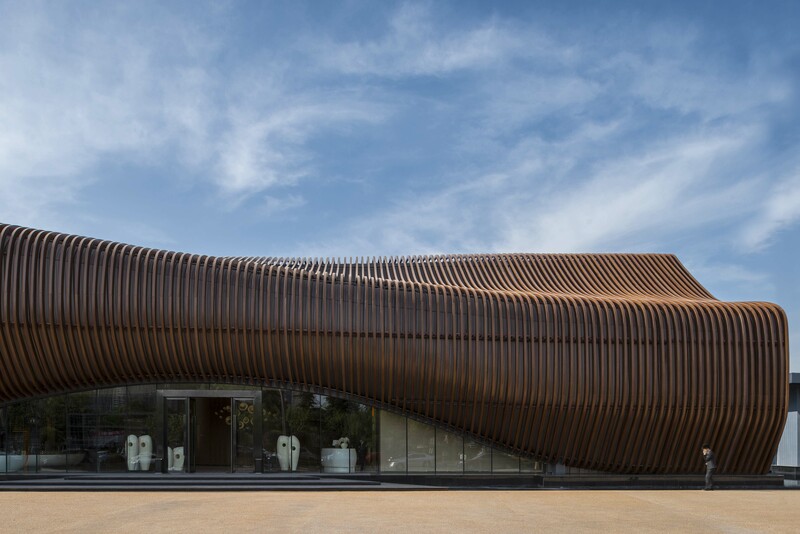 This peculiar pavillon is also designed to accommodeate adaptive resue. Building on a specially engineered stell raft foundation, LEC will be transformed into a museum of contemporary art serving local district. Small and intimate in scale, yet ambitious in its urban gesture, LEC creates a new cityscrape that adapts both to the varied demand of the program and the complexity of the city.